Native to Europe but now found worldwide in greenhouses where mums and other related flowers are grown. 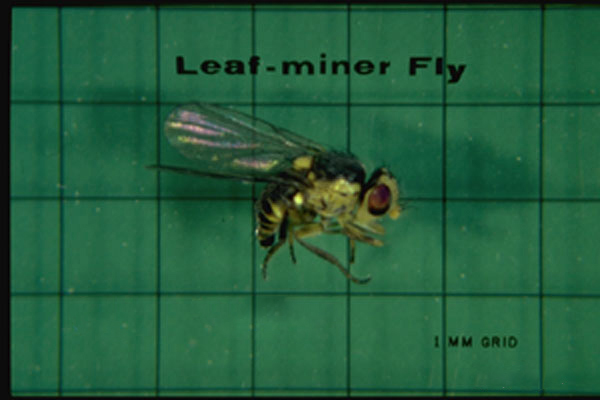 Most of the species of flies in this family have larvae that feed under the surface of leaf tissues, mining within that layer and often specific to a certain type of plant. 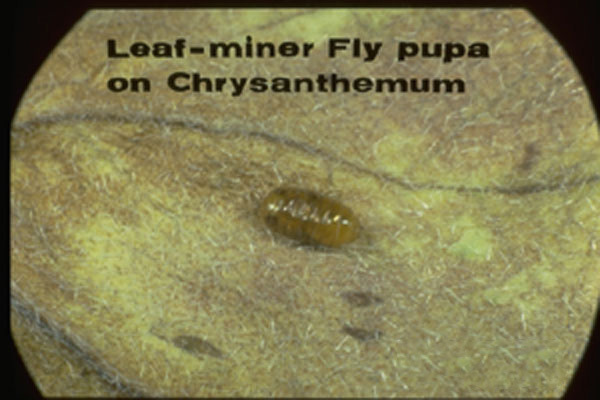 Some kinds are important pests in greenhouses, such as on chrysanthemums, where their obvious tunneling makes the cut flowers unmarketable. Outdoors they may feed on other plants in the Aster family, such as gazania or calendula, but also on some weeds such as sowthistle. 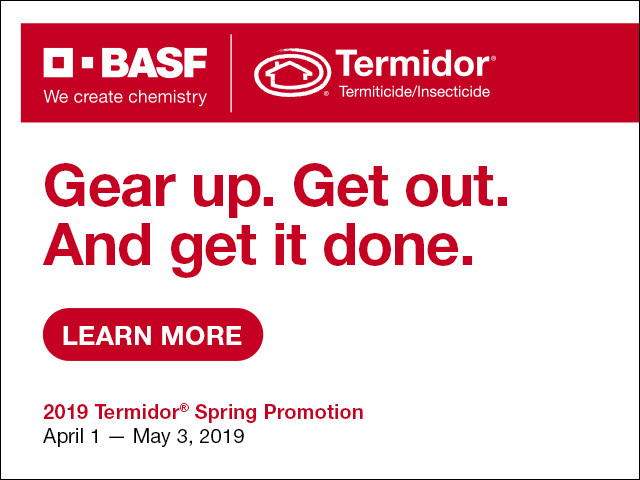 A complete generation from egg to adult may take only 4 weeks and multiple generations will occur within greenhouses each year. 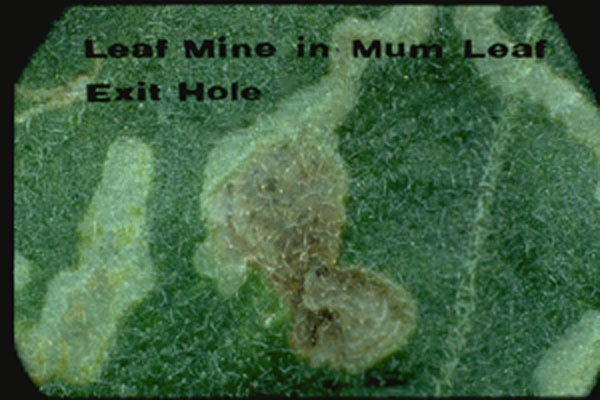 Normally the presence of these flies is based on the damage to the leaves, showing as meandering white tracks over the surface of the leaf, often following the margins of the leaves. The adult flies are very small, less than 1/8 inch long, and gray with yellow on the head. Most effective will be systemic insecticides that penetrate the tissues of the foliage to be consumed by the feeding larvae. 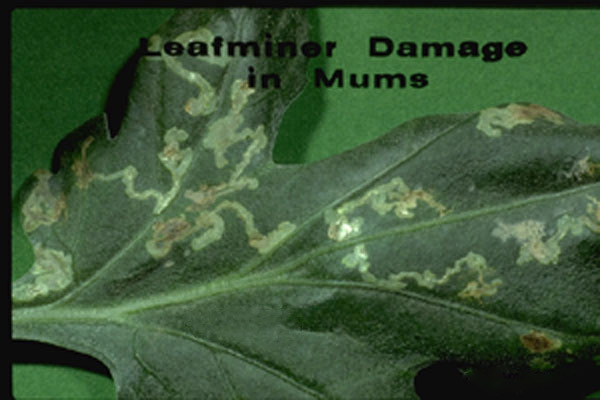 Minor damage to outdoor plants will not threaten the health of the plant and usually can be ignored.